Logging a workout allows you to keep track of how often you move, share your progress, and connect with other users. You can either log a workout from one of your saved series/classes, or a workout of your own! 1. Your workouts will be automatically marked as complete after you finish at least 90% of the workout. Head to your home page or My Practice to see your completed workouts and continue with your next class! 2. 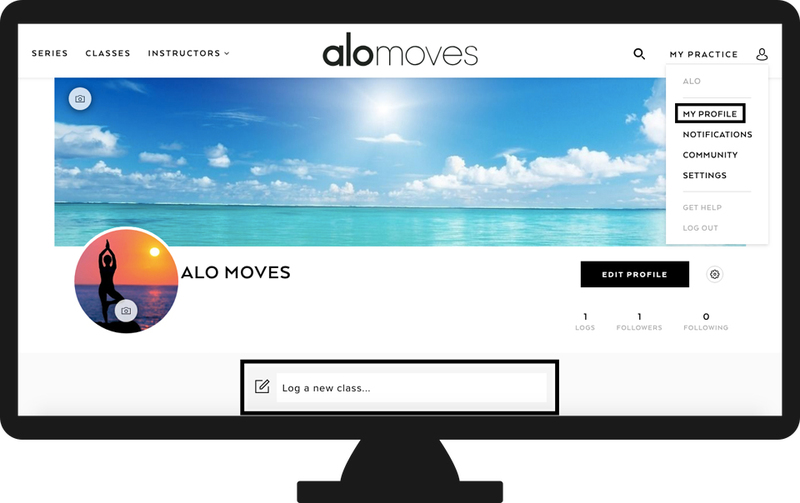 You can also manually log a workout you do on Alo Moves, or on your own, by heading to your profile and clicking on the "Log a new class..." box at the top of the page. To access your Profile, click on the "little person" icon in the top right corner of any Alo Moves webpage, and select "My Profile'. 3. All series and classes can also be logged on their webpage. 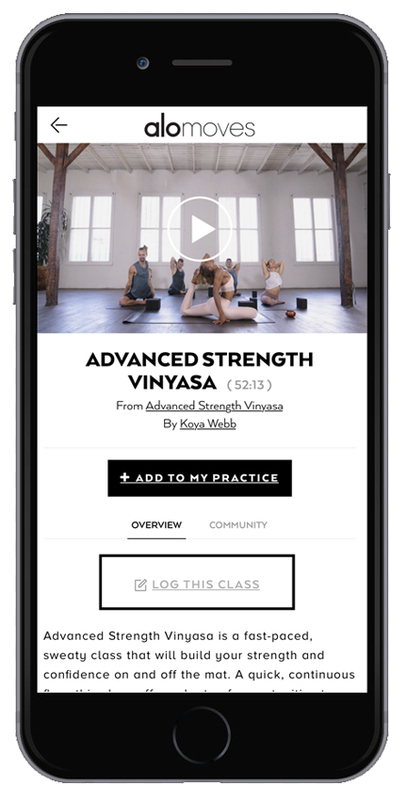 To do so, click on the "Log this Class" box located beneath the workout video, on the right side of the page. 4. 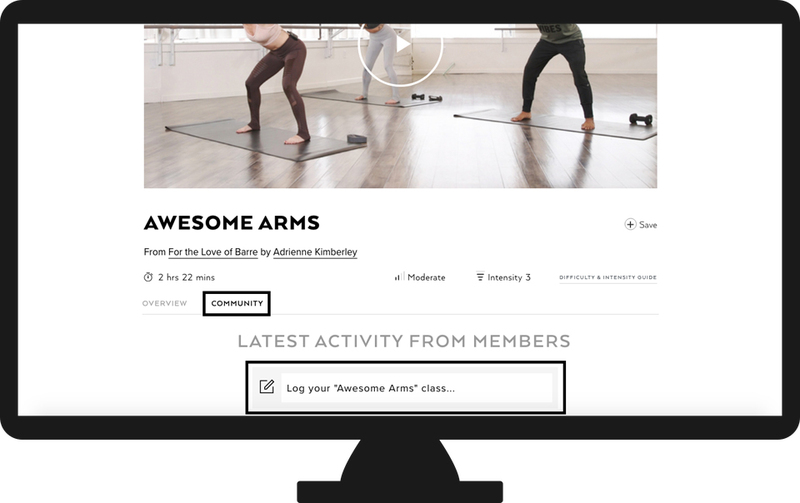 Finally, workouts can be logged on the Community tab of each workout's page as well. You will, by default, be on the "Overview" tab on a workout's page. Go ahead and select "Community" to see other users who are logging the class, and add a log of your own by clicking on the "Log your _____ class..." box. 1. After you complete a class, you will see the option to "Log this Class" below the video. Go ahead and click on this box to log your class on your Profile. 2. A class can also be logged directly on your Profile page. Just head to your Profile by clicking the side bar in top left corner of the screen. You will see a dropdown menu which includes a link to your Profile, go ahead and click here. Once you are on your Profile page, you should see a "Log your workouts" bar below your personal information. 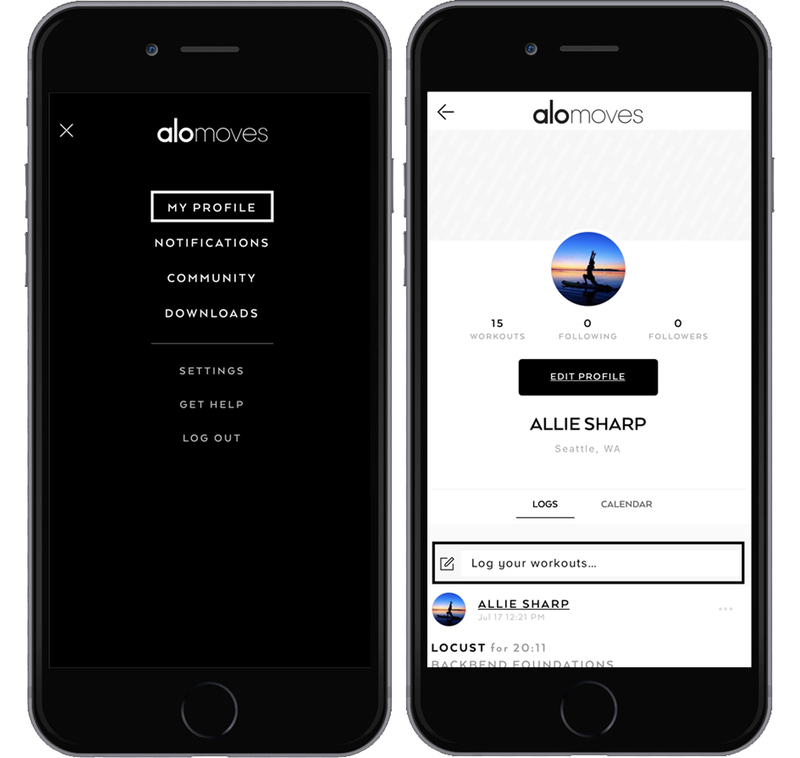 Here you will be able to log any of Alo Move's workouts you complete, as well as any workouts you do outside of Alo Moves. Start logging to share your progress!